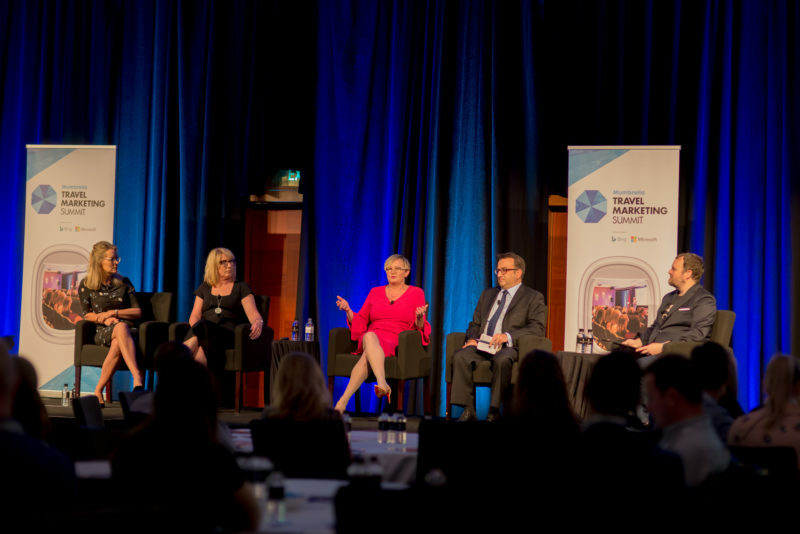 On the 5 April I got up really early (Thank God it was not Daylight Savings anymore) and flew from Toowoomba to Sydney to attend the Mumbrella Travel Marketing Summit and Awards. It was the first time in a while that I have spent any significant time in Sydney, and while growing up in a city, I felt really out of place (and not just because I was the only one not wearing black and white – go Tilma Green!). I’d forgotten about being sandwiched into public transport, walking kilometres more than you need to because of road and building works (or ignoring the ‘Use other footpath’ sign because there is no other footpath) and the enormous line up to the public bathrooms. I was very excited to be attending the Summit and had very high expectations of the conference due to the notable calibre of presenters. Further, I was more than 1,200km from home and had paid a large penny to be there including flights and accommodation. The Summit was run as a series of Q&A Couch Sessions with 4-5 presenters. Each session was approximately 45 minutes in duration, which meant each presenter only had the ability to discuss the topic asked of them by the moderator and spoke overall for maybe 5 minutes. It was also disheartening to find the questions were regularly about what the presenters were doing in their current roles (responded to like a job interview) rather than giving valuable insights into their marketing ideas and achievements. Sadly, the Summit was not as I expected and I felt a bit disappointed when coming home at the lack of inspiration and education provided. Maybe that was my overly high expectations letting me down, but I can honestly say that I have received more valuable insights from locally run Workshops and Conferences in the Toowoomba Region than I did at this big-named Summit. Regardless, there were a few sessions I loved and had some great ideas and thoughts I will remember in my marketing content and strategy going forwards. Here are a few of my take outs from a day with Mumbrella. Digital Trends are growing for travel purchases with an increase of 44% in the UK and USA. This equates to 121-161 internet sites visited before a purchase is made. 33% of these sites are OTAs with DMOs having the lowest percentage visited. 20% of Australian’s travel more than 1.5 times per year (this makes them a frequent traveller). 82% of people want to travel internationally to experience something different. Digital Marketing can be used with TV and Print media where results can be difficult to measure. Ideas included a QR/Scan Code on print media or scheduling Social Media ads during TV commercials. Awareness, Consideration, and Conversion are the sales process steps of the customer. Always make sure you are marketing to the step of the process the customer is experiencing. Paid advertising has the most return on investment at the Conversion step. Following the Summit, was the inaugural Mumbrella Travel Marketing Awards, hosted by Jules Lund (he like cats #catchat)..
From the Awards, I headed back to my hotel to get some sleep before heading off early again to the airport. I can tell you, landing back home in Toowoomba was the best feeling!